You can find one fine attraction of the Copper Cities area nestled on Highway 70 just past the bridge over the San Carlos River at milepost 272. 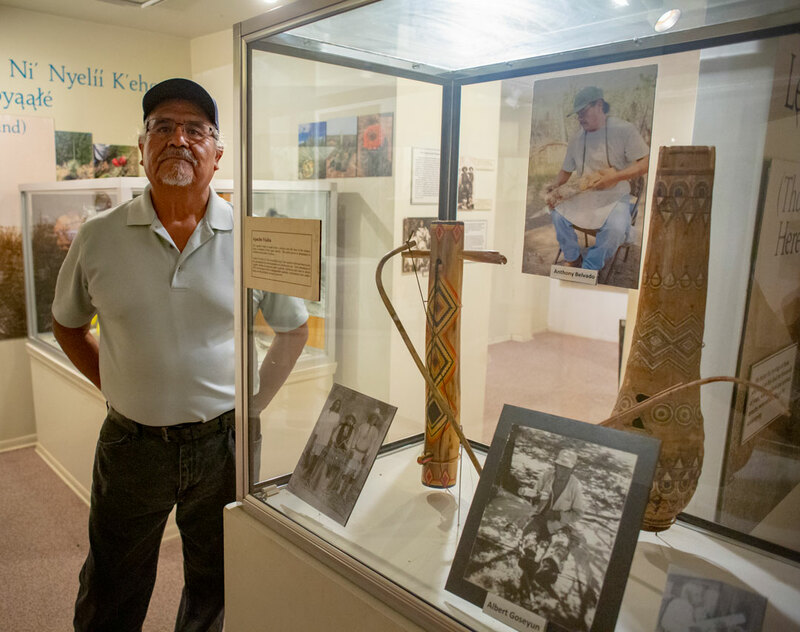 The San Carlos Apache Culture Center Museum is now open 8 a.m. to 4:30 p.m. Monday through Friday and often on Saturdays. A compact yet open and pleasant facility, it has been enhanced lately through the efforts of visiting Curator and Apache violin maker, Anthony Belvado (pictured), who has developed three new exhibits, including Apache violins he has made. He says that sometime in the early 18th or 19th centuries, an Apache saw a European violin and Apache instrument makers adapted it using local materials. The sound box is made from an agave stem split and hollowed out and the string and bowstring are made of horse hair. It was used, Belvado says, for singing courting songs. If the girl liked the song, she would discover and approach the man who gave her the anonymous serenade and things would develop from there. In addition to the new exhibits, the museum features many other interesting artifacts and displays. Museum Director Marlowe Cassadore is working on further expansion of the Center. The Center also features Apache fine arts and crafts. Paintings, Apache Camp dresses, Apache ribbon shirts and moccasins, jewelry, and many beaded items are invitingly displayed. 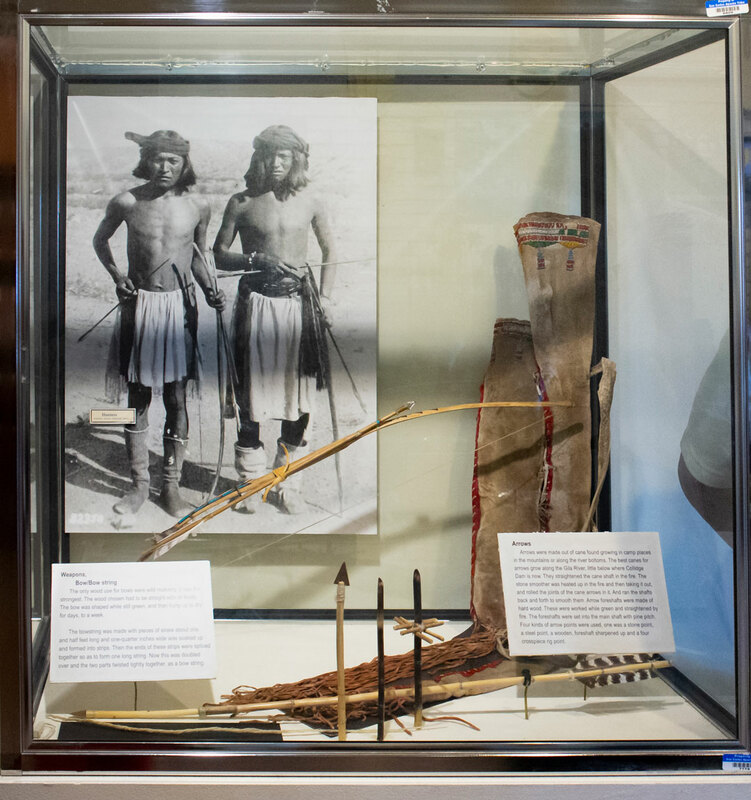 Also, check out displays featuring traditional Apache foods and plants, Apache warfare and trading post stores on the Reservation. According to Cassadore, he and Belvado are experts on Apache culture, not just through academics, but they have lived what is written in the books their whole lives. So knowledgeable people are always on hand to guide you through the Apache Culture Center Museum. For information, call 928-475-2894. In addition to the new exhibits, the museum features many other interesting artifacts and displays.